Our company mascot (well, I guess she’s just my dog) wishes you a safe and happy Halloween. Isn’t she sweet? But as Halloween is a holiday for scary black cats and not for adorable old pugs, we’re going to leave you with a spooky tale of a ghostly feline from Tunica, Mississippi. This story comes from Ghost Cats of the South, by Randy Russell, which is new in paperback this month. Enjoy! Yesterday, Audible announced the launch of “Neil Gaiman Presents,” a line of audiobooks personally selected by the best-selling author and screenwriter, and then produced on the Audiobook Creation Exchange. Gaiman, an avid reader as well as an award-winning audiobook narrator and connoisseur of spoken-word performance, has chosen some of his favorite works of fiction and nonfiction with their specific attributes for audio in mind, and then personally supervised the casting for each book so that each author’s work is performed by that book’s ideal narrator. Gaiman explained, “I’ve picked books I loved and wanted more people to find, and worked as closely as I could with each author to find just the right narrator for each audiobook.” Gaiman has written and recorded an introduction to each audiobook produced under his label. And the best part? The Minotaur Takes a Cigarette Break, by Steven Sherrill, is included in the first five audio books Gaiman has produced. We’re absolutely honored to be in included in this initial batch, alongside The Land of Laughs by Jonathan Carroll, You Must Go and Win by Alina Simone, Light by M. John Harrison, and Pavane by Keith Roberts. If you haven’t already, head over to Audible and listen to Gaiman explain why he choose these books. Now you know what to listen to on your next road trip! Five thousand years out of the Labyrinth that held him captive, and as many years beyond the dubious bargain that set him free, the Minotaur finds himself struggling to negotiate the American South with the body of a man and the head of a bull. The Minotaur tries to balance the past, the present, and a looming future from behind the cooks’ line at Grub’s Rib, where his coworkers know both his skill with a chef’s knife and the sometimes dangerous nature of his horns. At Lucky-U Mobile Estates, the Minotaur lives in a boat-shaped trailer and shares with his neighbors an appreciation for a quiet lifestyle and a respect for auto repairs. Over the duration of his life, the Minotaur has roamed the earth and seen much, yet he has reaped little wisdom to help him navigate the complex geography of human relationships. Inarticulate, socially inept, tolerated at best by modern folk, he has been reduced from a monster with an appetite for human flesh to a broken creature with very human needs. During the two weeks covered by the novel, the delicate balance tips, and the Minotaur finds his life dissolving into chaos while he simultaneously awakens to the possibility of love. Among the characters peopling the Minotaur’s world are Kelly, whose own debilitating flaw allows her affinity for the Minotaur; Sweeny, the rough-hewn but kindly proprietor of the mobile-home park; and Buddy, Sweeny’s unforgettable, unlucky, randy bulldog. The Minotaur Takes a Cigarette Break is an effortless blend of the mundane and the mythic, a unique world in which kitchen work becomes high drama and meetings between legendary creatures almost pass notice. But strangest of all in Steven Sherrill’s debut novel, everything seems to make perfect sense. If you didn’t catch Carolyn Sakowski, author of Touring the Western North Carolina Backroads, at one of the 30 book signings she did throughout the mountains of North Carolina, you’ll have your chance to chat with her via Twitter this week. So if you’re still planning your leaf season retreat, this is the perfect opportunity to learn a few new tips and tricks around the backroads of western North Carolina. Simply tweet your question to @CarolynSakowski and she’ll respond. Have you ever been to the mountains of western North Carolina and wanted to see the scenery but escape the crowds? Maybe you were tempted to take off down a side road but hesitated, fearful of getting lost. Now, Touring the Western North Carolina Backroads can help you make that escape. The book’s 21 tours cover the entire mountain region of western North Carolina and provide numerous opportunities for seeing unspoiled landscapes and pastoral scenes. But scenery is not the only focus. Once you’re on the backroads, you might speculate about the history behind the old white clapboard farmhouse that dominates the valley ahead, or you might wonder about the rest of the story behind the two sentences on the historical marker at the side of the road. Touring the Western North Carolina Backroads fills in those details. Drawing from local histories and early travel writings, each tour is designed to be a journey through the history of the area. Tales of eccentric characters, folklore that has been passed down through the ages, and stories about early settlers combine to present a perspective that makes the scenery come alive. This third edition features updated directions, additional sites, new photographs, suggested spur trips, and nearby recreational opportunities. Use this guidebook to plan your next day trip, weekend getaway, or cycling adventure! Carolyn Sakowski is a native of Morganton, North Carolina. She holds a B.A. in history from Queens University of Charlotte and an M.A. in history from Appalachian State University. 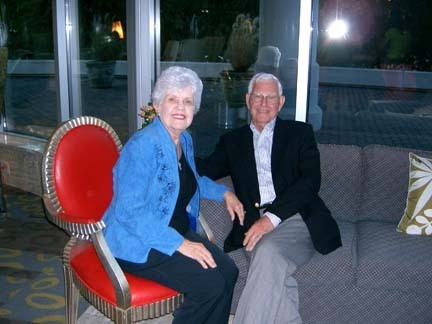 She lives in Winston-Salem, North Carolina, where she is the president of John F. Blair, Publisher. Learn more at touringbackroads.com. Dot Moore, author of No Remorse: The Rise and Fall of the Killer John Wallace (NewSouth Books), will appear in room 29, Legislative Plaza, today from 3:30pm – 4:30pm. Christopher Coleman, author of Ghosts and Haunts of Tennessee, will be on the Chapter 16 stage tomorrow, Oct. 15, from 1 to 2 p.m. You might have seen him on WTVF’s Talk of the Town yesterday. Distributed author Edith Pearlman (Lookout Books) will appear with Ann Patchett at the War Memorial Auditorium Saturday, October 15, from 1:30 to 2:30 p.m. Her latest collection of stories, Binocular Vision, was just announced as a finalist for the National Book Award in fiction. Roger Reid, author of Longleaf (NewSouth Books), will appear on a panel Saturday, 4:30-5:30 pm, in the Old Supreme Court Room. It looks like it’s going to be a great weekend in Nashville! Will we see you at Southern Festival? The twenty finalists for the 2011 National Book Awards were announced on Oregon Public Broadcasting at the new Literary Arts Center in Portland, Oregon, yesterday. We’re so pleased to announce that Edith Pearlman’s Binocular Vision (Lookout Books) is included in this prestigious list, along with big contenders like Téa Obreht‘s The Tiger’s Wife and Julie Otsuka‘s The Buddha in the Attic, among others. And there’s more big news: Edith Pearlman will be at the Southern Festival of Books in Nashville this weekend. She’ll be sharing the stage at the War Memorial Auditorium with Ann Patchett Saturday, October 15, from 1:30 p.m. to 2:30 p.m. You don’t want to miss this! This “finely tuned collection” (Publishers Weekly) of short stories takes us around the world, from Jerusalem to Central America, from tsarist Russia to London during the Blitz, from central Europe to Manhattan, and from the Maine coast to Godolphin, Massachusetts, a fictional suburb of Boston. These charged locales, and the lives of the endlessly varied characters within them, are evoked with a tenderness and incisiveness found in only our most observant seers. No matter the situation in which her characters find themselves—an unforeseen love affair between adolescent cousins, a lifetime of memories unearthed by an elderly couple’s decision to shoplift, the deathbed secret of a young girl’s forbidden forest tryst with the tsar, the danger that befalls a wealthy couple’s child in a European inn of misfits—Edith Pearlman conveys their experience with wit and aplomb, with relentless but clear-eyed optimism, and with a supple prose that reminds us, sentence by sentence, page by page, of the gifts our greatest verbal innovators can bestow. You probably recognize Steve Almond for his humorous books Candyfreak and Rock and Roll Will Save Your Life, or even his satirical polical commentary on The Rumpus. With a new collection of stories, God Bless America (Lookout Books), out this month, the author is touring the nation to share more of that satirical humor. I get asked a lot whether the title of my new book, God Bless America, is meant ironically. People tend to assume — because I have a history of mouthing off against government officials — that I don’t really like America very much, let alone bless it. But the title is no joke. Whatever I might think about the political discourse of this country at the moment, I feel a deep gratitude for America — both in its freedoms and its plenitude. We are one of the most remarkable experiments in democracy in the history of humankind. Only a fool would deny that. But patriotism — at least American patriotism — isn’t about blind allegiance to whomever is in charge. It’s about using your freedom as a citizen to make your voice heard. The wealthiest among us are socking away more money than they could ever possibly need, while the middle and working class struggles to pay the bills. Our political leaders are ignoring the scientific evidence that we’re slowly rendering the planet uninhabitable. The excesses of late-model capitalism have made greed a more powerful cultural value than generosity. Jesus Christ Himself would have been horrified at the manner in which we have, as a society, turned away from the sick and impoverished, and spent our leisure hours consuming fast food and violence. That’s just something the politicians say on the TV to advance their petty arguments. Every single American has his or her own version of the country. All I’ve tried to do is to get inside the heads and hearts of a dozen of so of our citizens, to understand how the larger currents of history have shaped their own stories. In the end, our civic crisis has to do with a lack of empathy. Americans have amassed enough wealth to lock themselves away from their neighbors, to remove themselves from their duties to the less fortunate. We’ve stopped imagining what it might be like to not have enough to eat, or to live in a dangerous part of the world, or to have to sneak into this country just to feed your family. Americans have terrific values in the abstract. We believe in all the right things. We’re just not very good at living up to these values. Literature isn’t intended to make people into angels. But it does ask people to imagine the lives of others, and to feel more than they did before. I’m proud that I live in a country that allows me to do that sort of work, and to put into the world. So no, the title God Bless America isn’t meant as a dig at my homeland. It’s something closer to an aspiration, a wish to feel the sort of pride that might even make one sing. Steve Almond is the author of ten books of fiction and non-fiction. In God Bless America, Steve offers a comic and forlorn portrait of these United States: our lust for fame, our racial tensions, the toll of perpetual war, and the pursuit of romantic happiness. Each of the 13 stories is an urgent investigation of America’s soul, its particular suffering, its injustices, its possibilities for redemption. With deft slight of hand, Almond, “a writer who knows us as well as we know ourselves” (Houston Chronicle), leavens his disappointment and outrage with a persistent hope for the men and women who inhabit his worlds. God Bless America offers us an astonishing vision of our collective fate, rendered in Almond’s signature style of “precise strokes… with metaphors so original and spot-on that they read like epiphanies” (San Francisco Chronicle). 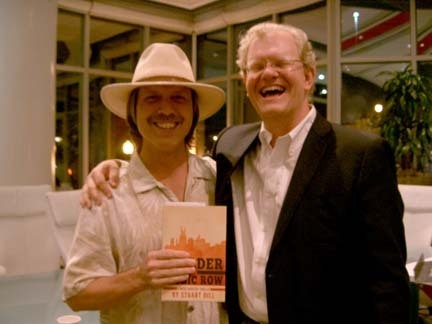 Last week, Stuart Dill celebrated the release of his debut mystery novel, Murder on Music Row: A Music Industry Thriller, at ASCAP (the American Society of Composers, Authors, and Publishers) in Nashville, Tenn., where anyone who’s anybody in the Nashville music scene celebrates his or her launch. Angela Harwood, Blair’s VP of Sales and Marketing, attended the event. Below is an excerpt of the post she wrote for Teresa Rolfe Kravtin, one of our sales reps. See the full post (and lots more photos) at Teresa’s blog. 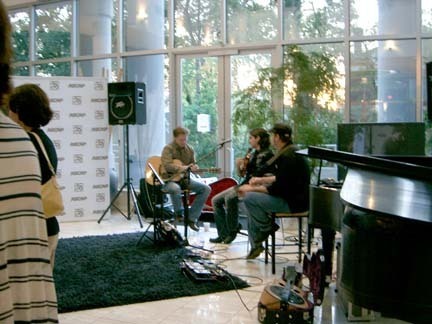 Stuart shared his launch event with his close friends and family in an atmosphere he knows best, although he’s usually attending parties at ASCAP in support of one of his many clients (Billy Ray Cyrus, say, or Jo Dee Messina), many of whose names are sprinkled throughout his novel. More than 200 people turned out in support of Stuart, and to my delight (I do work for the publisher, after all), most of them bought books! The first thing guests noticed upon entering the party was the absolutely gorgeous miniature cupcake display, provided by Ivey Cake — the bakery that made the wedding cake for American Idol winner and country music superstar Carrie Underwood. 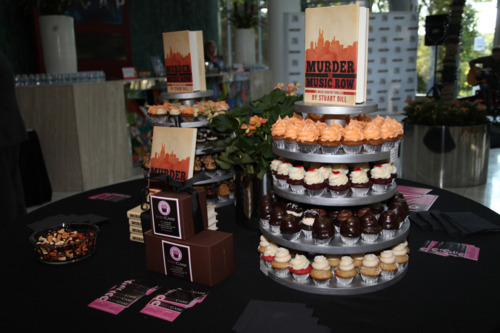 Ivey’s delicious cupcakes were decorated in the same color scheme as the cover of Stuart’s book! Guests mingled, ate cupcakes (the cupcake I chose was peanut butter and sported edible glitter), and sipped on coffee from Humphrey Street Coffee Co., while listening to background music played by Ryan Joseph, Charles Kelley, and Randy, who play with Laura Bell Bundy, Billy Ray Cyrus, and Craig Morgan. At 5:30, Tim DuBois introduced Stuart Dill. 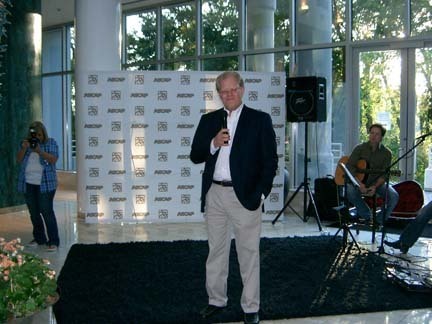 Tim DuBois is managing executive at ASCAP and a major figure on Music Row. Tim discovered artists such as Brooks & Dunn, Alan Jackson, and Brad Paisley, and co-wrote “When I Call Your Name” with Vince Gill. Tim was followed by Laura Bell Bundy, star of Legally Blonde: The Musical, who told us about when she found out Stuart was a writer. She never knew! Stuart spoke graciously about his friends and family and told a few humorous anecdotes before entering the adjoining conference room to sign books (this conference room just begs you to pretend you’re in an Austin Powers movie). Stuart tirelessly signed books for an hour and a half, while his guests continued to mingle (and buy books). Among the guests seen at the party (the ones I recognized, anyway—everybody there looked like somebody, I just wouldn’t know who!) were Frye Gaillard, Stuart’s longtime friend who originally suggested Stuart send his manuscript to John F. Blair (thank you, Frye!) and Stephen Doster, the author of Lord Baltimore and Voices from St. Simon’s, both published by John F. Blair. Jan Fairchild of Southern Territory Associates posed for a photo with Stephen Doster and introduced me to Nancy Stewart, Blair’s buyer at Ingram, who has been doing a wonderful job juggling the inventory for Murder on Music Row as the book generates more and more publicity (Country Weekly, Library Journal, BookPage, MusicRow.com, CMT.com, and more). I also met Stuart’s longtime friend Brent Holmes, author of Island Tunes for Kids, who let me in on a little secret: Stuart has also written song lyrics! Shhhh. It was nice to meet Stuart’s parents, Dr. Stephen Dill and Ruth Dill, who came all the way from Mobile, Alabama, to attend the launch party. They will also attend Stuart’s hometown signing at Page & Palette on Friday, October 21. 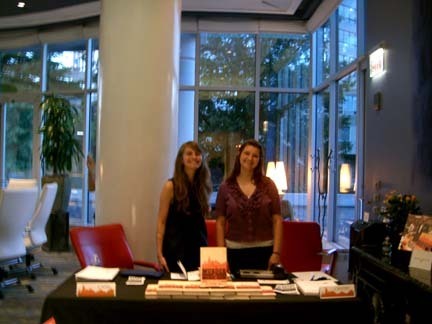 The party hit just the right note, wrapping up, as planned, around 7 p.m. Blair sold around 100 books at the party, thanks to help from our summer intern, Morgan Hawk, and our current intern, Katie Saintsing—who came along in the spirit of Judd Nix, the 23-year-old unpaid intern at Elite Management, who finds himself witness to an assassination attempt in Murder on Music Row. (Interestingly, our interns are also unpaid—hmmm). I’d also like to give a shout out to Stuart’s intern, Laura Jo Blair, who was a great help directing guests to where they could buy books. After the party, Katie and I joined Stuart and Maral for dinner at South Street in midtown, where we rehashed the night’s events and planned for more successful events in the future. For those who are interested in seeing what the fuss is all about, you can read an excerpt from Murder on Music Row. Books are available at your local bookstore, at online booksellers, including IndieBound.com, and at John F. Blair, Publisher. Ebook editions are also available. Thanks, Angela! Again, you can read the full post at Teresa’s blog. And don’t forget to follow Stuart on Facebook.